It’s gotten to the point my friends that I don’t get out to the theater as much as I would like. Last year it was once from January to August. This year twice. Today was #2 and it was a film I was eagerly awaiting- Dawn of the Planet of the Apes. I know what you are thinking. An ape movie? Really Rachel? Have an open mind, and I bet you will be dazzled by the movie (and maybe even think a little bit while you are at it). Dawn is the 8th entry in the Apes franchise that started in 1968 with Charlton Heston. In that film Heston lands on earth to find humans are no longer thriving and apes are the evolved species. There were then 5 follow ups and a TV series, which were all pretty entertaining. In 2011 we got a new version called Rise of the Planet of the Apes which basically ignored the Burton movie and became a prequel to the original film. It was very good but was pulled down by some weak human actors James Franco, Frieda Pinto and others. So now in Dawn we have moved to 10 years past the events in Rise and the apes have started to evolve into their own civilization while the humans have been annihilated by the virus introduced in the last film. In fact, the apes think humans are completely gone and haven’t heard anything from them in 2 years. They were very clever to not make the apes too evolved. It is after all only 10 years. 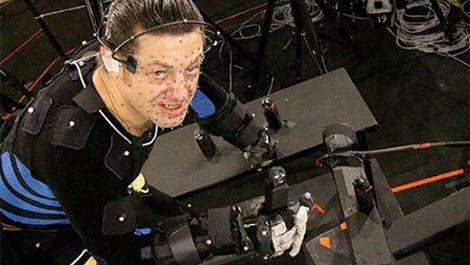 Caesar, the leader of the apes, played by Andy Serkis (oscar worthy performance), has taught the apes how communicate using the sign language taught to him by Franco. These interactions are presented to us as a subtitle like in a foreign film. It feels believable apes could learn to communicate in that way. They also use short phrases and words like home, family, war, ape, and human. 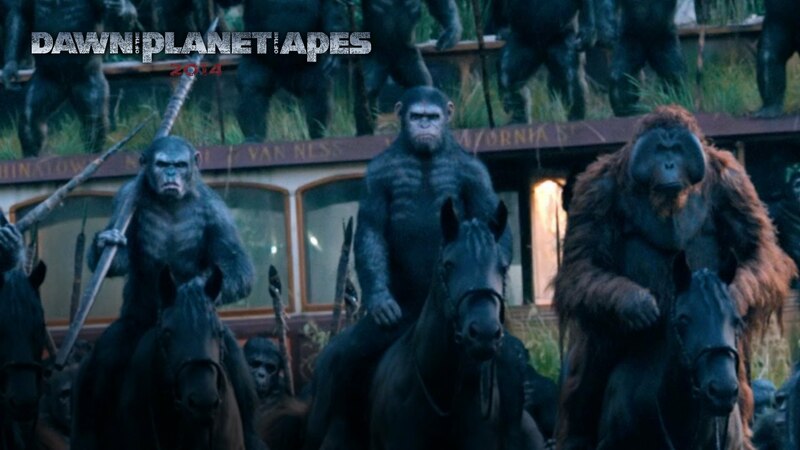 The two main apes are Caesar and Koba who present different takes on the relationship with humans. Caesar avoids war and remembers Franco with nostalgia while Koba fears man and remembers being tortured by them. This is main question of the movie. When is the time for peace and when is the time for protecting one’s country and people? It is interesting yesterday I heard Prime Minister Netanyahu debate these very ideas on Face the Nation. Some see Israel as acting in an aggressive way and wish they would try harder to bring peace. Others, including Netanyahu, feel they must defend themselves and their interests. So, Koba and Caesar are the most compelling characters in the story and the stop motion capture is amazing. The fur is fluid. The movement feels smooth and after a few minutes you forget it is a special effect and it is just Caesar. 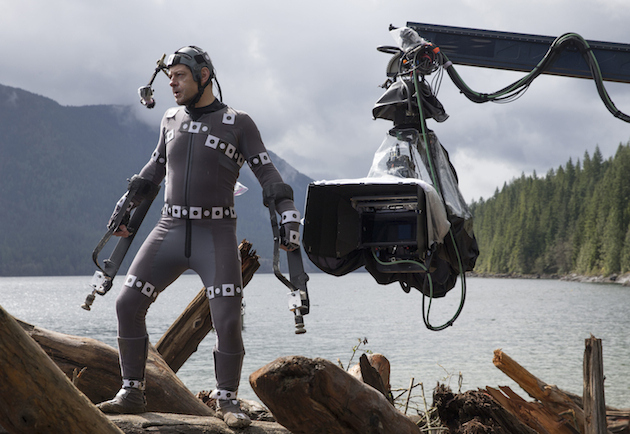 One thing making it so seamless is the green screen for the CGI was set up around the forest scenes which had never been done before. My only flaw with the apes is that at times it was hard to tell them apart aside from Koba and Caesar. I don’t know how they could have improved on it but it was a challenge. The apes eventually come into contact with a group of humans who need access to the dam that is next to the ape’s home. Koba is very resistant, Caesar is more open to the idea. Most of the human actors I am not overly familiar with. 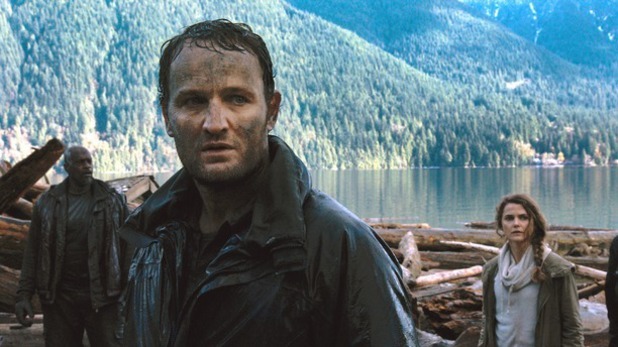 Jason Clarke was new to me, and he was very good. Kerri Russell takes a huge step up from Austenland. Gary Oldman is good but not in that many scenes. Kodi Smit-McPhee is also good as Clarke’s son. All of them have seen their civilization and families get obliterated and the fatigue is on their faces. So, the apes and the humans come into conflict and contact with each other and the movie plays out at a very brisk feeling 2 hours and 10 minutes. A few of the visuals are over-the-top. There is an ape Rambo scene which is cool but a little corny. But other than a few brief moments I don’t have much criticism. It does not take the easy way out and idolize the apes (ala Avatar). Nor does it paint the humans as heroes or villains. It’s message is surprisingly simple- all creatures can be bad and good. They all have the potential to cause pain on others. I don’t want to give too much away but I loved it. I walked away dazzled, entertained, moved, and inspired. It is modern storytelling at it’s best and I recommend seeing it on the big screen. It will have a lot more umph than at home. As far as content it is fairly violent with war, deaths, murders, blood depicted by both apes and humans. I heard 2 swears although there could have been more. It was not a huge problem. ps. There were apes on horses. It looked totally cool. I don’t think I’m ready for apes on horses! The Charlton Heston era is still the standard though.